We are super excited about this review, as we will be looking at FujiFilm’s latest addition the Instax SP-2. 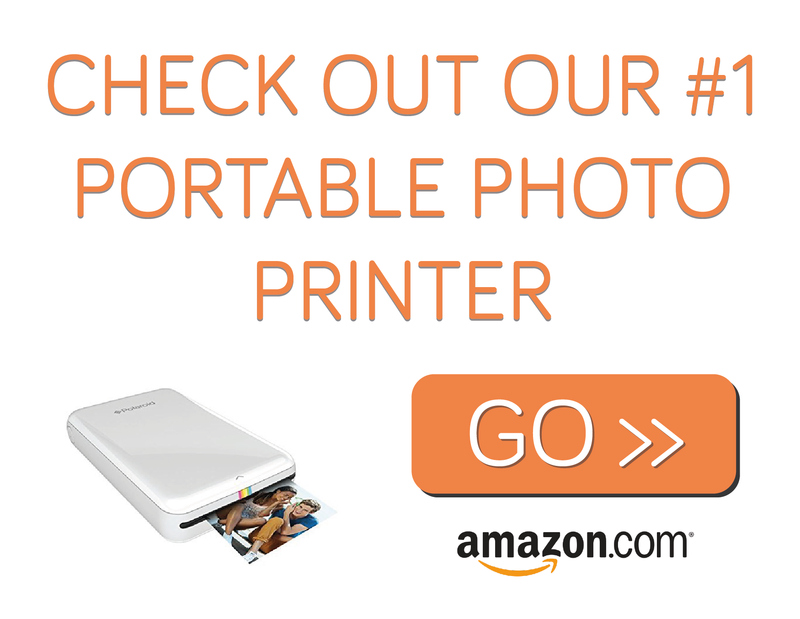 This a stylish and portable photo printer, which is an upgrade to the Fujifilm SP-1. If you’d like to take a look at our list of the best portable printer for more info and ideas to help you pick the best photo printer click here. In this review we’ll be going through all the Instax SP-2’s best features and will check out how great this product really is. We will also be looking at the some customer opinions, and what people are really saying about this product, so expect some good and maybe not so good opinions from actually users of the Instax SP-2. 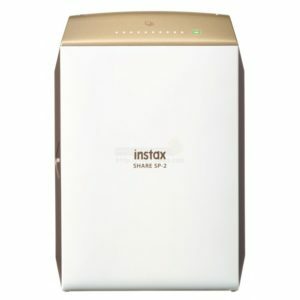 So, hopefully after this review you will be able to make a better decision on which printer to buy and where to get the best price for the Instax SP-2. But, if you’re in a rush and you’ve come to the site looking for the best price to get the Instax Sp-2 click here to see the best price around on Amazon.com. You can’t go wrong with Amazon, unbeatable prices, customer service and free fast delivery. Print high-quality instax photos by sending images from your smartphone or tablet using the free instax SHARE app. Faster print time at only 10 seconds with the new laser exposure system. built-in rechargeable battery that charges via a micro USB port. Available in two stylish colours Silver and Gold. Why Buy The Instax SP-2? Fujifilm Instax share sp-2 printer is a definite upgrade from the sp-1 printer. It has a stylish redesigned body and a whole lot of new features. The new instax sp-2 is more angular and has redesigned buttons which are very cool (is it sad to get excited over buttons?). The number one upgrade for this new instax sp-2 printer would be its faster printing time compared to its predecessor. The new printer can have a full photo printed in about 10 seconds which is quicker than the sp-1 that takes up to 16 seconds. The reason for this is its laser exposure system feature. There is also a reprint button so you can easily make a copy of the same photo as many times as you like. This is perfect for occasions or parties. Every guest can have their copy of souvenir photos. The instax sp-2 printer is perfect for a holiday or if you are going travelling as it is small enough to fit in a camera bag or back pack and even some pockets. It’s so compact you’d have no problem carrying this around. To give you an exact measurement, it is 5.2 x 3.5 x 1.6 inches and it only weighs 8.8 oz without a film inside. The instax sp-2’s top panel gives handy indications of how much film you have left, with lights to show how many prints are left in the film. A new Fujifilm share app was also released along side the Instax Sp-2. The app also got a whole lot of feature upgrades like the instax sp-2 printer. The new app has many options for you to customize your image, allowing you to manipulate its brightness and contrast and also put a filter on it. The app can really help you enhance your photo and customise your art work. It also has a collage feature that would allow you to print a picture collage. The printer is powered by an internal rechargeable battery. The battery door can be found at the bottom of the instax sp-2, but seeing as its easier you are more likely to charge it via micro USB with the cable provided. When fully charged, it can give you up to 100 printed photos making this the perfect travel companion for any photographer. The new share sp-2 also comes in two really stylish colours: Silver and Gold. Super fast printing at around 10 seconds. Uses a standard micro USB port for charging. You can just plug a standard micro usb cable, without any special cables. You could also add charge from a external power bank. The design is much better than the SP-1. No more of the retro 90’s CD-player look – unless that’s what you like. Image quality not that much better then the SP-1. We thinks it’s an improvement but a few user say that’s it’s not drastic. Unlike the SP-1, it does not support direct printing from some digital cameras like the Fuji X100T. We think the FujiFilm Instax SP-2 is a great upgrade to the Instax SP-1. So if you’re looking for a stylish and portable printer to use on the go, you can t go wrong with the Instax SP-2. With it’s stylish looks and choice of colour, as well as super-fast print speed and ease of charging, we think the SP-2 is a top portable printer. If you are still undecided check out our photo printer guide for 2016. For the best deals and for fast delivery check out Amazon for the best price on the Instax Sp-2. The Fujifilm Instax Sp-2 is great for printing your photos when you’re out and about. It has a super-fast printing time and is easily charged using a micro USB cable. But would do the customers and users say about the Instax SP-2? 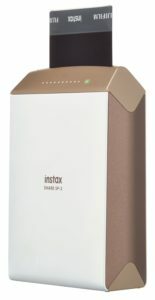 As this is a very new product I have only found 10 reviews so far on Amazon.com but most of these reviews are very good giving the Instax SP-2 a great score of 4.5 stars out of a possible 5 on average. This makes the Instax SP-2 very easy to recommend. © 2019 Copyright Best Portable Photo Printers. All Rights Reserved.